Image License: CC0 via Clem Onojeghuo. Any vendor who can’t manage to make some decent sales each time they sell at the flea market really should consider finding a new way to make money. Still, there are plenty of tips a flea market merchant can follow to get those sales coming in. Certain qualities in a merchant are going to turn away tons of customers. Pushiness, abrasiveness, and refusal to budge on any prices will send customers away without any completed sales. Without a doubt, a vendor’s best tool for making customers happy and getting items sold is his or her attitude and personality. A pleasant and friendly seller will make customers feel welcomed so that they continue to browse through their wares. Also, a merchant that talks about more than just their items will make a good impression on potential buyers. Connecting with customers is the key to getting them to buy something if they are interested. Closing sales is a bit more difficult than connecting with customers though. In some cases, a customer might be interested in an item but won’t want to commit to a purchase. Customer uneasiness can ruin sales because some of these buyers are wary of buying used things from others. So then, it might be nearly impossible to close in some cases, but that doesn’t mean you can’t do it. To close a sale, a flea market merchant should attempt a few different strategies. The first approach is to negotiate with customers when necessary. Some flea market browsers won’t’ even consider buying an item unless a vendor is willing to negotiate. Sometimes, a vendor might have to take a lower price than they originally wanted. Another technique is to add some extra to get a customer to decide to purchase. However, vendors should throw in relatively inexpensive items to entice customers, such as something they have plenty of. It sometimes just takes that extra little prize for customers to make a purchase. 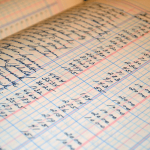 A few other methods for guaranteeing sales exist. A seller can add advertised discounts for multiple item purchases. Vendors could take off 10% for purchases of $20 or more – or something like that. Potential buyers can be enticed by offers for discounts even if they are relatively small. In the end, merely advertising a discount can get buyers to come in and buy something from a flea market merchant. 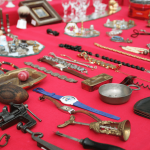 A flea market vendor will eventually be able to tell whether or not a buyer can be convinced to purchase an item. Some call it a sort of “seller’s intuition.” In that case, merchants should try to get non-buyers out of there so that they can deal with people who are serious about buying their items. A seller shouldn’t waste their time chatting around with people who don’t plan on buying anything. Those people are only wasting the time a person could be using to talk to others to lock in sales with interested buyers. In the end, there is no guaranteed way to close a sale at the flea market. Still, vendors can increase the likelihood of a deal by showing potential buyers courtesy and hospitality. Sellers can also add in little incentives to make a purchase, such as advertised discounts or some small reward for making a purchase. 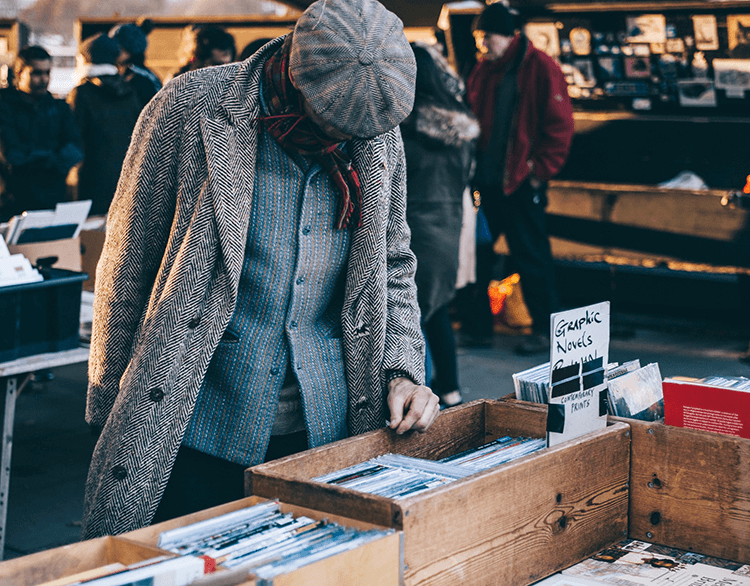 Sometimes, haggling might be required to lock in a sale, but that’s okay as long as a flea market merchant ends up making a profit at the end of the day. Some days a merchant will end up with tons of sales and earnings while other days will result in a big waste of time. 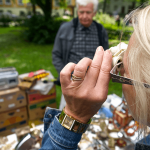 Of course, it’s impossible to guarantee a successful day at the flea market, but certain things can help a vendor make more sales than they otherwise would. This content is licensed under CC BY 4.0. If you use this content please attribute Robert Taylor via https://alterables.com/ as a contributor of your adapted content. I blog about business and investing topics. Two cats, one dog and a messy office. Thanks for checking out my articles.